Staying stylish in the warm seasons challenges even seasoned style mavens. When the temperatures begin climbing higher, you start to feel like you might melt every time you step out the door. However, summer style can include more than just overused graphic tees and your favorite pair of well-worn cutoffs. 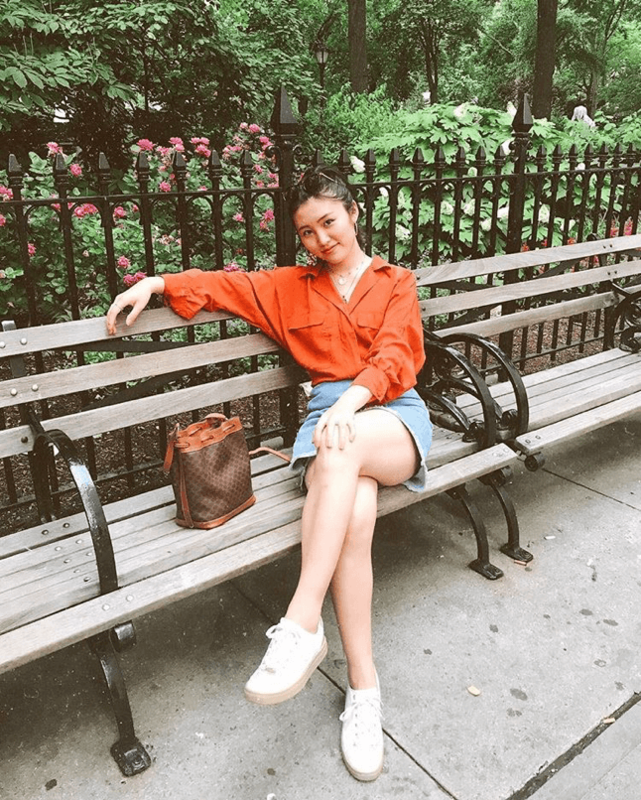 Twenty-one style gurus and bloggers show us how to work our summer wardrobes, with fits that can take you from the beach to a breezy summer date and give your friends serious style envy. Check out these 21 summer outfits to drip with style instead of sweat. 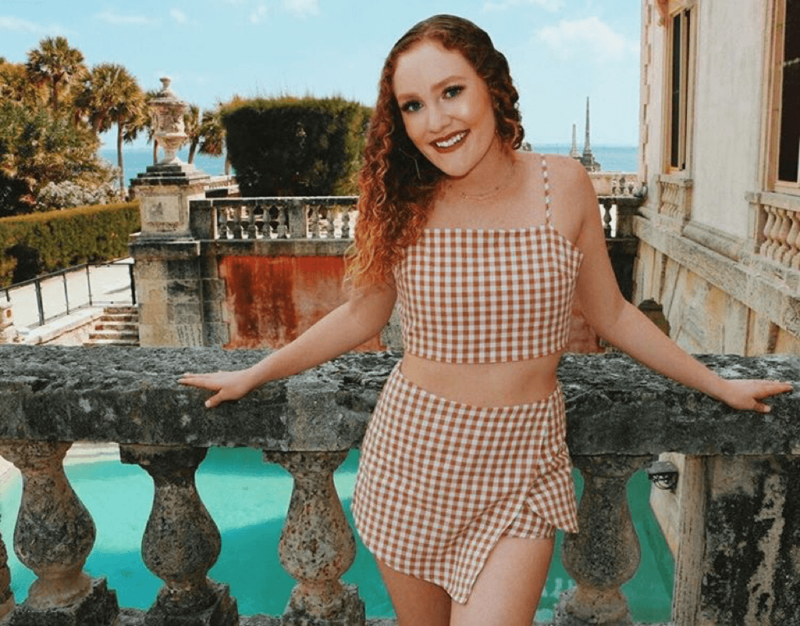 Style bloggers and at-home fashionistas can’t wait to get their hands on gingham this season, and here Clemson University student Lauren Bond proves that it’s not just for Dorothy anymore. Opt for on-trend color choices, like burnt orange or hot pink to keep the look in this classic print modern. “I think two-piece sets are the summer style staple to beat the heat,” said Bond. Add in a pair of espadrilles or dirty it up with your favorite pair of converse to dress things down. University of Cincinnati sophomore Caroline Milo proves statement jewelry spices up an otherwise understated date-night look perfectly. “I tend to like earthier pieces using wood and metallic and simple combos of color,” said Milo. “My favorite statement pair is a wooden circle dangle with a metal diamond at top.” Sharpen up chic neutrals and serve after dark looks perfect for warm summer nights. 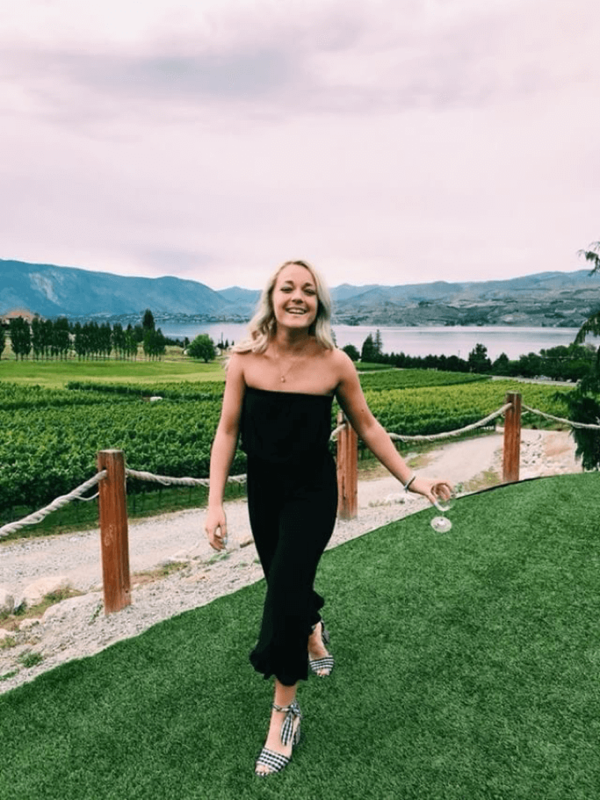 Illinois State University senior Meghan Todd wins summer style with this classic romper and more stylish gingham that will have us clicking our heels all night long. This look gives us total country club vibes with a (literal) kick, thanks to the funky pattern of the heel and the in-style accessories, like her gold coin necklace. Pair the look with a sleek bag in a contemporary silhouette for the perfect summer night, vino not included. Play with silhouettes, not hearts, this summer style season by juxtaposing unexpected shapes for your look. 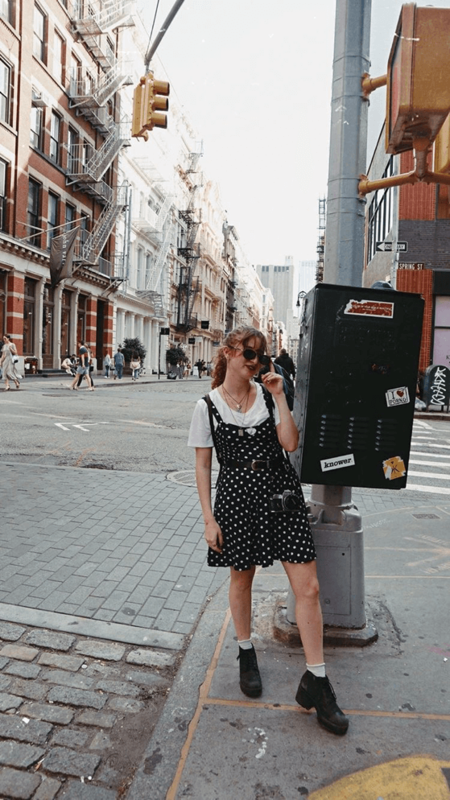 Follow Creative Circus student Kate Terentieva of PretaPortKate’s lead and pair a wraparound top with an unconventionally cut skirt and a pair of easy white trainers that can take you from your NYC internship to a summer drink without an outfit change. “Think Lizzie McGuire, but with a 2018 oh-so-chic flair,” said Terentiva. Date night, sorted. Sunnier days mean plenty of opportunities to show some skin on your next date night. 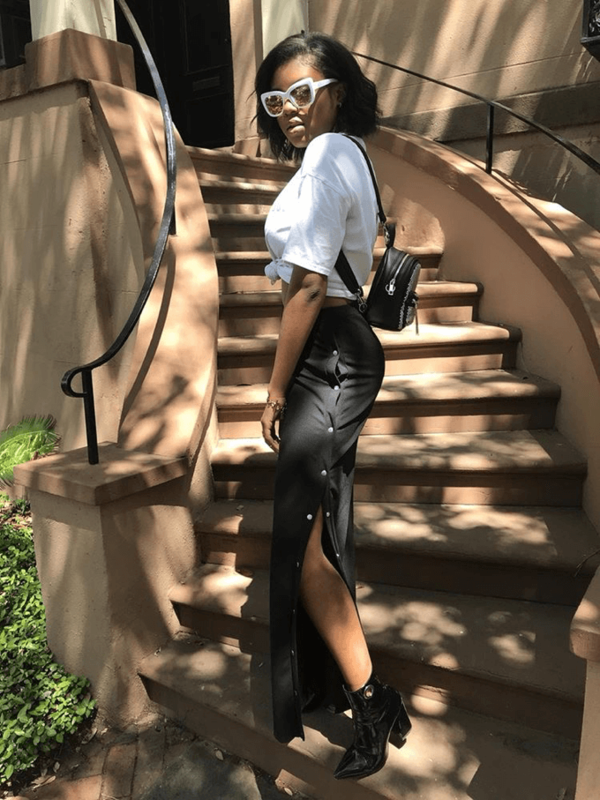 Follow Zina Dichoso of Blummin Style Blog’s example and pair neutral heels and classic sunnies with an on-trend romper for a look that reads totally breezy. Dichoso’s style staple? “I’ve been sticking with maxi dresses with slits,” said the blogger. “[They’re] so fun to wear and still allow for a fun breeze to poke through!” For more of that summer goddess vibe, choose bold summer colors like bright tangerines or deep blues to show off your new summer tan. Great beach style doesn’t have to mean a great bikini, and University of South Florida sophomore Vicks Celis proves it. 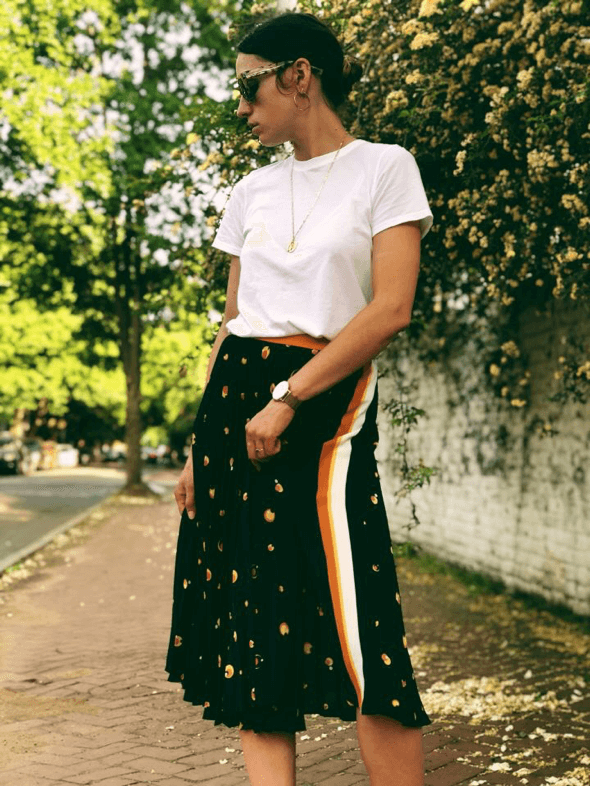 Grab a pair of loose fitting, lightweight trousers for a covered, but cool, vibe to keep yourself out of the harsh summer sun as the temps heat up. Celis suggests pairing the look with basket bags. “They are so cute,” she said. “They say summer all over them!” The best part? You don’t have to worry about your Balenciaga getting ruined in the sun. Nothing says summer like nautical inspired prints, such as the little blue and white stripe number Todd wears above. Todd’s updated combination couldn’t be simpler. “I think the ‘it’ item of the summer is going to be lightweight jumpsuits,” said Todd. Pair it with chunky wedges and a floppy straw hat for an effortless fit. 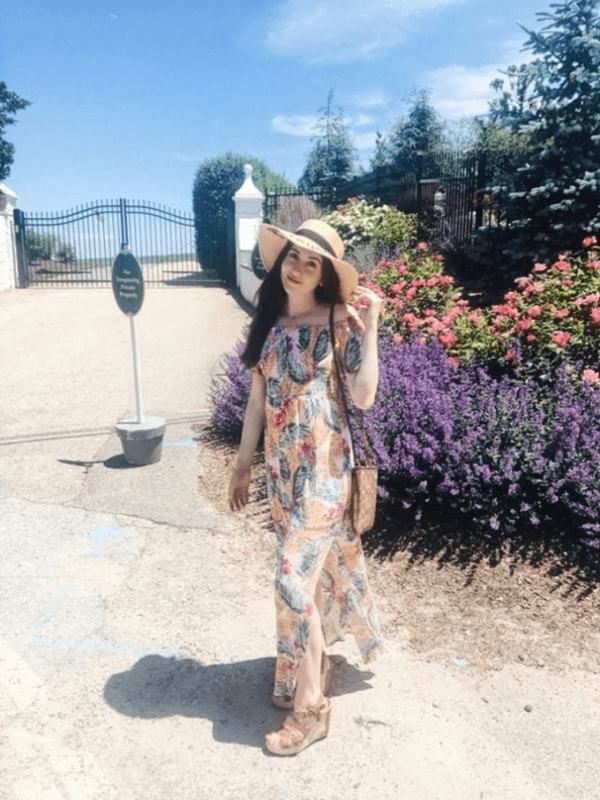 University of New Hampshire graduate Kaitlin Gioeli totally got the beach vibes memo, styling a flowing, floral maxi dress with platform wedges and a straw hat to match. “I love flowy, lightweight materials like linen and cotton for the summer,” said Gioeli. “Especially when they’re used for dresses and bottoms. They definitely help to keep cool!” Stay with the 2018 trends with bold patterns of your own choosing. Who says swimwear is just for the beach? Nicole Duda of OhsoDeco Blog has us on team athleisure with this candy striped one piece. Style it with your favorite cap for ultimate 2018 style. “I have renewed my love for throwing on a good hat for days that I don’t want to deal with taming my fizzy hair,” said Duda. “Whether it’s a cap or a straw hat, I am rocking it this summer season.” Try one in a sleek metallic or a funky velvet fabric to one-up your dad’s hat game. Forget the boring t-shirt and shorts combo. Up your beach style game with a breezy dress/romper combo that looks straight off the shores of the Amalfi Coast rather than your local racks. This style also makes a great transition to beachy evenings walking the pier or grabbing dinner without lugging around a change of clothes. We love a wear-everywhere staple. The versatility of the summer sundress makes it a staple in all of our warm-weather closets, but that doesn’t mean you have to throw yours to the back of your closet. Take notes from Sarah Gargano’s style and layer your go-to dress over a classic white tee. Tough it up with platform oxfords and oversized sunglasses and prove that boring isn’t in your summer vocab. The stripe on these trousers draws the line between a basic summer look and a summer showstopper a la Savannah College of Art and Design Fashion Marketing student Morgan McKensey. Cop a pair from Asos or Nasty Gal, available . We love how McKensey keeps the look hip with a pair of oversized sunglasses for a ‘fit that would make heads turn on the quad. Ditch tired denim and reach for a statement silhouette that will keep you looking chic from brunch to biology class. Accessorize with a pair of statement sunglasses. 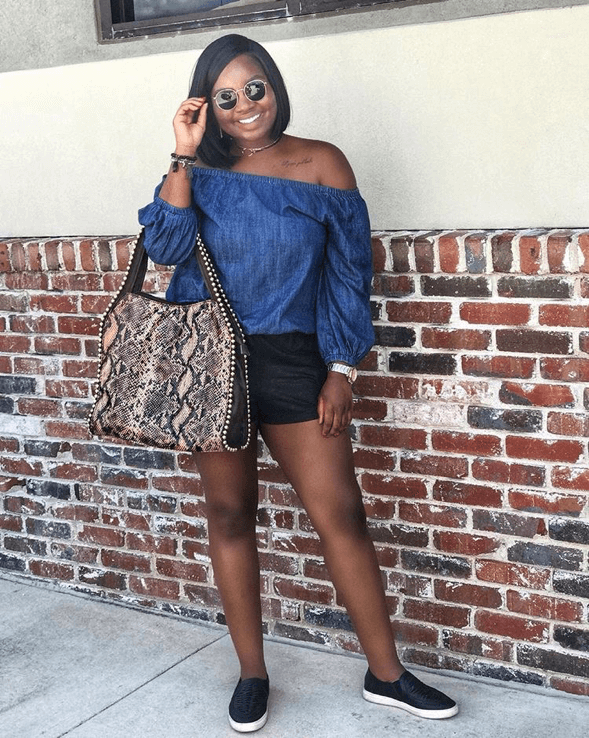 “Wearing sunglasses can transform any plain outfit to something more stylish,” said Eripitan Osagie-Sule of WearFaithEssence Blog. Plus, they can do double-duty after a long night in the lib or a summer night out. “No makeup days are great!” Osagie Sule adds. Pair it with a cute bag big enough to hold all your books. 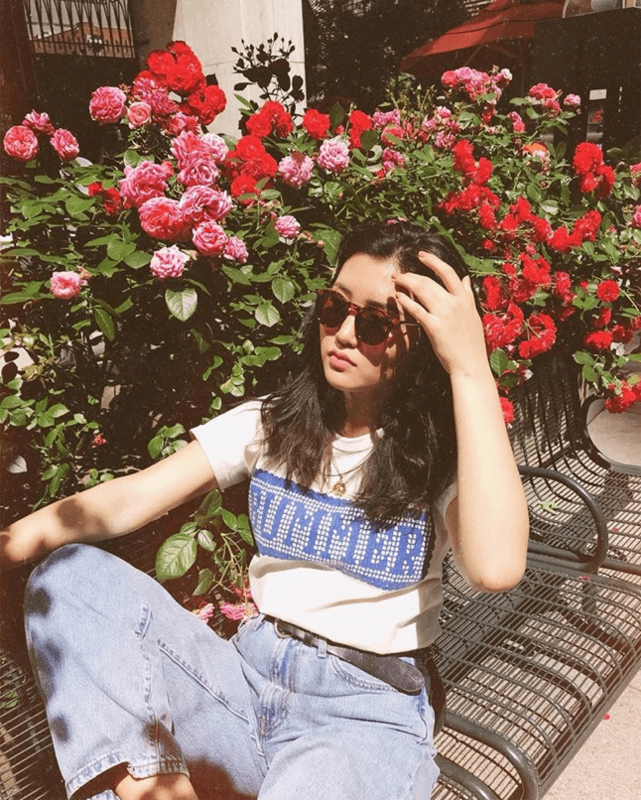 Summer temps doesn’t mean denim you can’t reach for your go-to denim, and you can take it from FIT student and style guru Reina Inoguchi. “I love wearing denim with a bit of a feminine top. I know some people think it is too hot to wear denim, but if I wear denim I don’t see whether I’m sweating or not, so that’s also my secret reason,” she said. Try looser fits, like a pair of cropped cutouts or raw-hem mom jeans to keep air flow moving. Follow Inoguchi’s lead and pair with a class approved graphic tee and your go-to black belt. 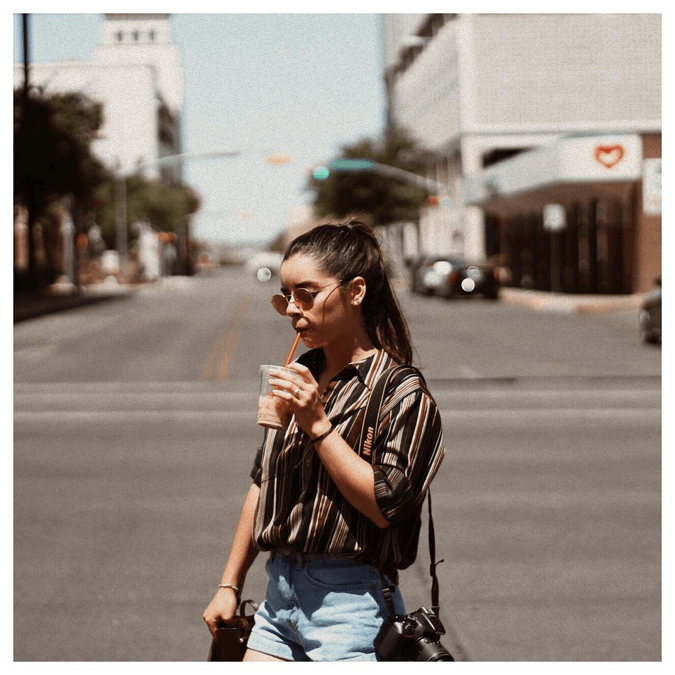 Stay comfortable in and out of lecture with a bold patterned button up and high-waisted denim, like this look that University of Texas El Paso sophomore Isabella Delgado thrifted. Her accessorizing method includes caffeine. “My summer style staple is COFFEE!” said Delgado. “Well, coffee or an iced matcha latte.” Who knew your caffeine fix could be so stylish? If you don’t have a ton of time to get ready in the morning or you just don’t like dressing extra AF 24/7, look to Carleton University student Vinisha for inspo. She pairs high-waisted shorts with a sweet summer tank top to keep cool and still stay stylish for class. Her tip? Pair it with your favorite sunnies. “In summer I’m out and about in the sun a lot and wearing sunglasses is fashionable and protects your eyes.” After all, we still want to be able to see the blackboard when fall rolls around. Here, style blogger Nicole Duda proves summer style doesn’t have to equal high maintenance. “My summer style staple is a flowy, long skirt,” said Nicole Duda of OhSoDeco Blog. “Throw it on with a printed tee for an easy day look or a slinky cami for a night out. 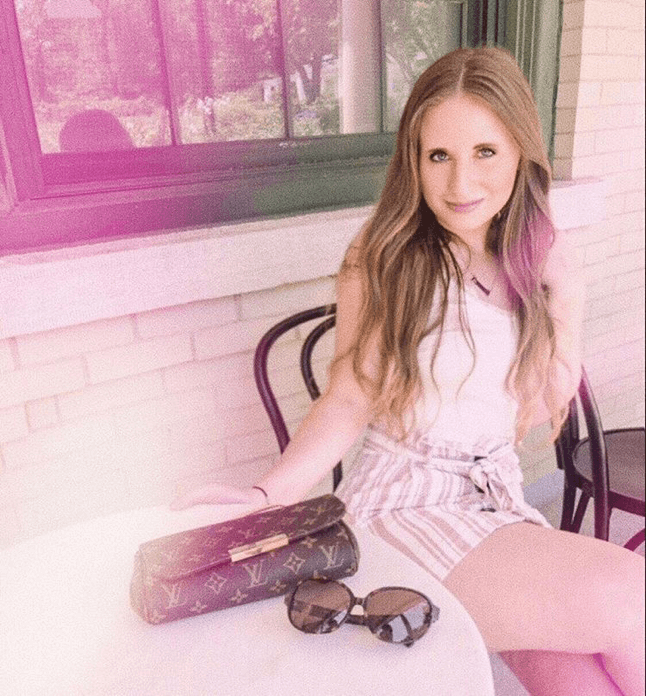 It’s easy to wear and feels light against the skin on a hot day!” Keep it midi-length to stay work appropriate and pair it with delicate, layered jewelry for the perfect summer office outfit. Consider classic black and white as your new workwear go-to. Show some (work-appropriate) skin with a side-button maxi and crop your favorite dress shirt when temperatures start to climb. Morgan McKensey suggests pairing it with a cute-but-functional mini backpack. “My perfect accessory for the warmer months is definitely my mini backpack,” said McKensey. “It’s super cute and stylish but I don’t have to worry about lugging around a huge purse on my arm.” We like this one from our own shop, available here. Forget boring neutrals when it comes to your office essentials and incorporate tropical inspired tangerines like our style muse, Inoguchi. Follow her lead and pair it with a denim skirt and workplace-approved flats for the ultimate casual Friday look. Pro Tip: Accessorize with gold coin necklaces, like these, which are Inoguchi approved. Just because temps are getting warmer doesn’t mean you can’t dip back into your spring wardrobe every once in a while. 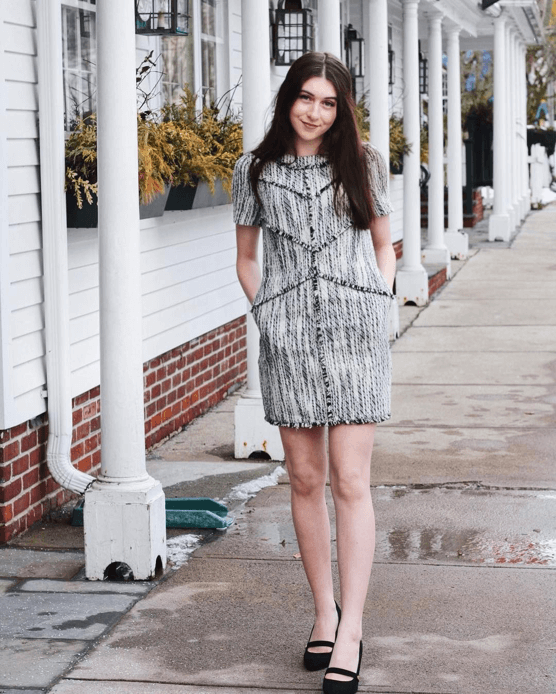 Kaitlin Giolei takes the classic route by pairing black kitten heels with a grey wool dress that gives us total 60s vibes; no clout goggles necessary. We’d recommend pairing the look with a short brimmed hat and an assortment of light accessories to instantly look less wintry.